State economists delivered mixed news for Oregonians on Wednesday, confirming that taxpayers will likely receive a “kicker” rebate in two years while warning it could coincide with a recession. “These are always really the things that are so difficult for economic forecasters to get ahold of, when times are changing,” state economist Mark McMullen said during a presentation to lawmakers at the Capitol. McMullen and fellow economist Josh Lehner will try to hone their economic forecast in the coming months so the governor and Legislature can plan for the next two-year budget cycle. They currently expect the slowdown to start in 2020, “right smack dab in the middle of the next biennium,” McMullen said. The personal income tax kicker is predicted to be $686 million, although that will not be settled until the August 2019 forecast. That’s up 23.6 percent from the $555 million predicted in May. The state could avoid a personal income tax rebate if the forecast declines by $316.5 million, according to the legislative revenue office. In Oregon’s unique kicker system, the state issues personal income tax rebates when it collects 2 percent more revenue than expected. The state sends back all the extra money, even if it exceeds 2 percent. This would be the third consecutive kicker. Taxpayers received a rebate worth a total of $464 million when they filed their 2017 returns this year, just as they did on their 2015 taxes. The median kicker expected for this year was roughly $89. The state gives the rebate as a credit on taxes owed, so only people who pay taxes benefit. In response to a question from Rep. Phil Barhnart, D-Eugene, McMullen said wealthier Oregonians get more money back through the kicker because they also pay more income tax. 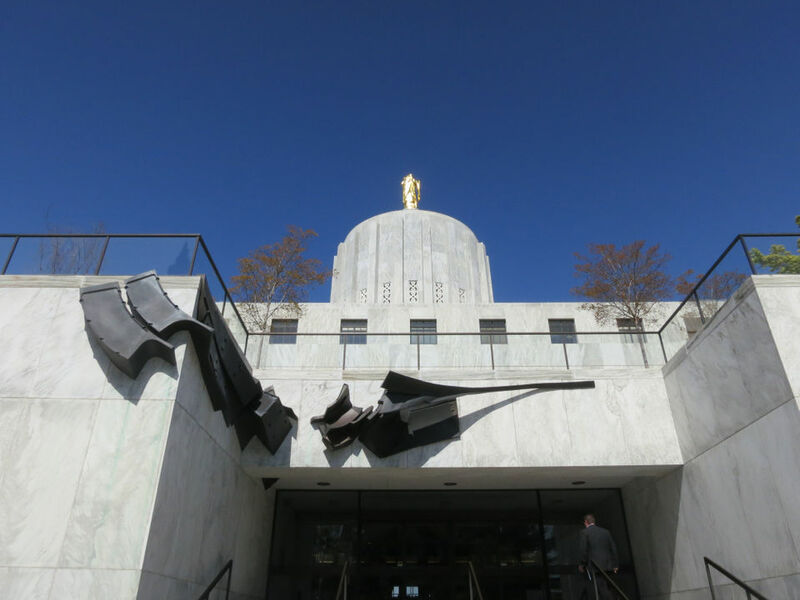 Oregon’s tax and lottery revenue forecast is up $166.8 million from May, so lawmakers could have more money left at the end of the current budget next year. 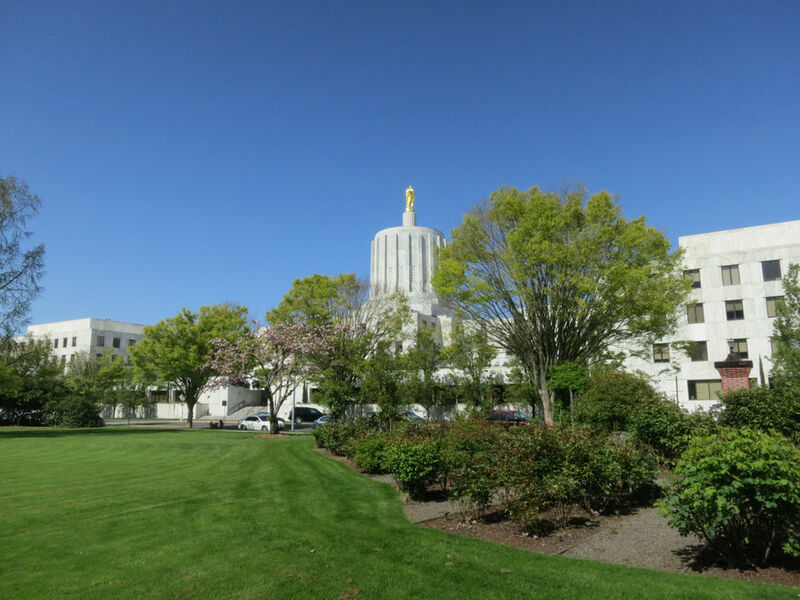 Legislative leaders and state budget analysts have said they could be more than $1 billion short of the money necessary to maintain current programs, with most of the shortfall in Oregon’s Medicaid program. McMullen said in a couple years, the economic stimulus from federal tax cuts and the “big fat spending package” that Congress passed will be petering out. At the same time, Oregon will be in the final phases of its minimum wage increase and the workforce will continue to lose skilled workers as baby boomers continue to retire. Those and other factors could be a drag on the economy, state economists said. Oregon’s rainy day fund is expected to reach $595.7 million by next summer, while the education stability fund is on track to be $614.2 million, according to the Oregon Office of Economic Analysis. Lawmakers can tap those funds during a recession to help prevent drastic service cuts, but have yet to use the rainy day fund since it was only created in 2007. Oregon’s two-year budget is roughly $21 billion.